Proposals to make jobseekers take part in English, maths and IT training to qualify for benefits have been welcomed by FE sector leaders — but there were questions about how the training would be funded. 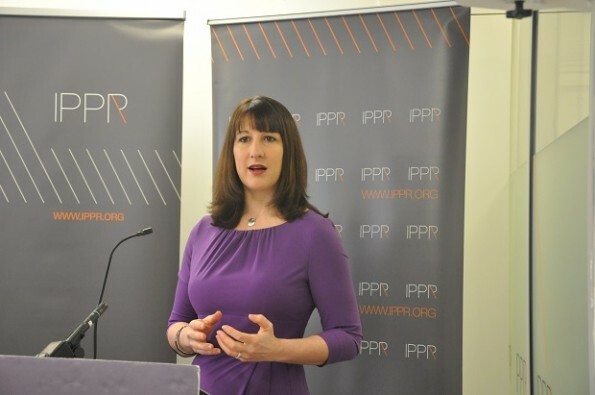 The idea was announced by Shadow Work and Pensions Secretary Rachel Reeves (pictured) during a speech to the Institute for Public Policy Research (IPPR) thinktank in London on Monday (January 20). Ms Reeves said basic skills were “essential in today’s job market”, but that “shocking levels of English and maths among too many jobseekers” were “holding them back from getting work and trapping them in a vicious cycle between low paid work and benefits”. “Research shows that nearly one in five of those who have made multiple claims for unemployment benefits have problems with reading or numeracy,” she said, adding that schools had a “critical role to play”, but that FE was also important for those lacking basic skills. Her emphasis on FE was welcomed by the Association of Teachers and Lecturers (ATL) and the Association of Colleges (AoC), but concerns have been raised about an apparent lack of detail on funding. Dr Mary Bousted, ATL general secretary, said: “It is good to hear that the Labour Party is making a commitment to provide jobseekers with training in English, maths and IT. Ms Reeves’ comments came two months after IPPR report No More Neets, the last of its three reports late last year, called for a ‘youth allowance’ to replace existing out of work benefits for 18 to 24-year-olds. The report also called for a ‘youth guarantee’ to be established, offering access to FE or vocational training plus intensive support to find work. For those not learning or earning after six months, mandatory paid work experience and traineeships should be provided, it said. More training is all well and good. Chuck some money at it and some of it will stick. However, look at the latest SFR (statistical first release) for 19+ learners, the chance of achieving if you do take an English or Maths qualification is awful and has been for years (over 1 million participants, around 600k achievers), regardless of what Colleges say about working well with Job Centres. For the 40+% who didn’t achieve, we should have done better. For those who have failed to achieve multiple times and had their confidence shredded, that is systematic failure. Start with quality, both in terms of teaching and systems then talk about quantity. Sadly, there are too many adults who will be unable to read this opinion or work out the chance they have of achieving, perhaps some of the sector leaders could step up and volunteer to explain it to them….. It is important for the job seekers to have more training in IT English and Maths that would build there confidence and help them feel more motivated in job seeking and finding employment. Im a trainer and i have identified that in the groups that i deliver employabilty courses and raising aspirations. The sooner thats put in place people will benefit.